Does it seem that your cat intentionally keeps you guessing about what’s in his or her mind? Guess what: your cat is actually giving you hints — with its tail. In fact, tail position is one way cats communicate with other animals. If you know how to decode the language, you can understand what your cat is trying to say to you, too. 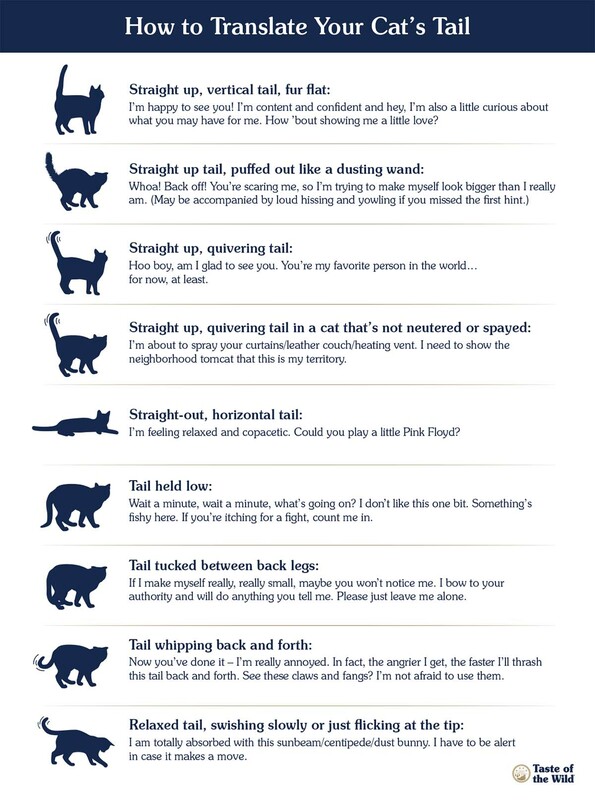 Of course, every cat is unique and may have his or her own way of communicating, but in general, here’s what your cat may be saying with its tail. 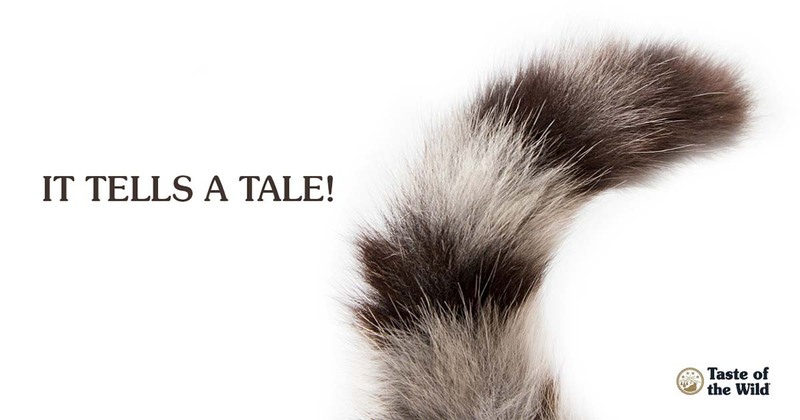 Of course, knowing what your cat is saying with his or her tail is just the start. Your cat also uses his or her eyes, ears and other body parts to communicate. Once you become more fluent in your cat’s body language, you’ll realize that he or she actually talks to you quite a bit — without saying a word.